It was another week where I did very little reading. 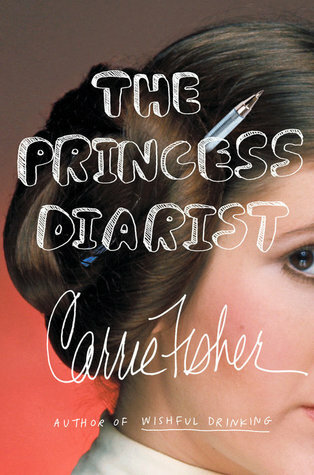 I did manage to squeeze in one quick book, which was actually a reread. 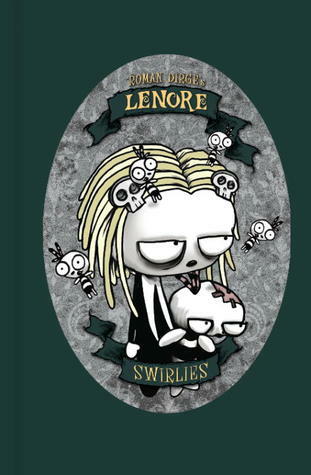 I read Lenore: Swirlies. This is a book I read about five years ago, but I wasn’t sure if I wanted to keep it or not, so figured I’d give it a quick reread to find out. I’m not sure if I will review this one or not. I probably will, but it will be a very short review. I watched quite a few things over the course of the week. On the PVR I watched Homestead Rescue, My 600LB Life, Family By The Ton, and The Incredible Dr. Pol. Then I started working through a stack off DVDs that we either haven’t previously watched, or have watched but are thinking of getting rid of but want to watch again before deciding. From that pile I watched the original 1957 3:10 To Yuma, Last Stand At Saber River, Open Range, You Know My Name, The Desert Trail, and The Proud And The Damned. As you can tell, I was in a western mood last week, so all the movies I watched were from that genre. It was another busy week here. It started off with me getting hit my another round of cold that left me struggling to get anything in the first couple of days. I soldiered through it and still managed to get things done around the house, but at a much slower pace than before. I spend two days giving our one bathroom a thorough cleaning and went through everything in it as well. I ended up getting rid of quite a bit of stuff during this process – because we seriously don’t need 20+ towels in this house when there are only three of us. Then in the second half of the week I started to go through our kitchen. I purged about half of the cupboards, getting rid of some things we don’t need like teacups, extra mugs and serving platters we haven’t ever used in the last eleven years. Though I didn’t get the whole thing done, I’m happy with my progress. I also spent a day baking and getting things ready for the boys birthday party which we had on Saturday. I ended up making a bunch of cupcakes and decorated them to look like dinosaur nests, since the party had a dinosaur theme. The party was a big success and the kids had a great time at the bowling alley and they all loved the cupcakes. Sunday I took it a bit easy again, feeling the effects of the busy week and still not being completely over my cold, so I just chopped up a bunch of vegetables for easy snacking over the next week and played a bunch of World of Warcraft throughout the day. We did play some ping pong over the course of the week as well, but not as much as we normally do because of the cold symptoms and also that the boy was using the table as a base for a major lego set-up. My plan is to read something this week. I don’t know what yet, but I’m going to likely pick something short so I can guarantee that I can actually finish it over the week. I will be watching my usual shows on the PVR over the course of the week and also working on more movies from that DVD pile that we have. It’s likely to be another busy week. I’ve gotten into the groove of cleaning and purging things each day, even if it’s just a small area, so I want to keep that going until the house is 100% done again. This entry was posted in Books, Life, Monday Progress Report, Movies, TV and tagged Books, Life, Monday Progress Report, Movies, TV. Bookmark the permalink. I’m still working on finishing my February review books. I really should go through closets and cupboards and purge too. I thought we did when we moved a year ago but there are too many things we just haven’t used. Come see my week here. Happy reading! It’s definitely worth going through everything. Even if you did it recently, I can guarantee you will find stuff to get rid of by going through it again. I’m watching my 600LB Life, too. It keeps me motivated to exercise. I hope you feel better soon! Have a great week! That’s exactly how I feel watching it. It’s a great motivation to keep up with healthy eating and exercising, but it’s also great to see the transformation of some of the people that really stick to it and meet their goals by the end of the year. My watching this year has been almost entirely anime. Come see what I’m reading. Nothing wrong with that. I have a GIANT list of anime I want to watch but also trying to work through our DVD collection and PVR stuff just to clear it out as well.